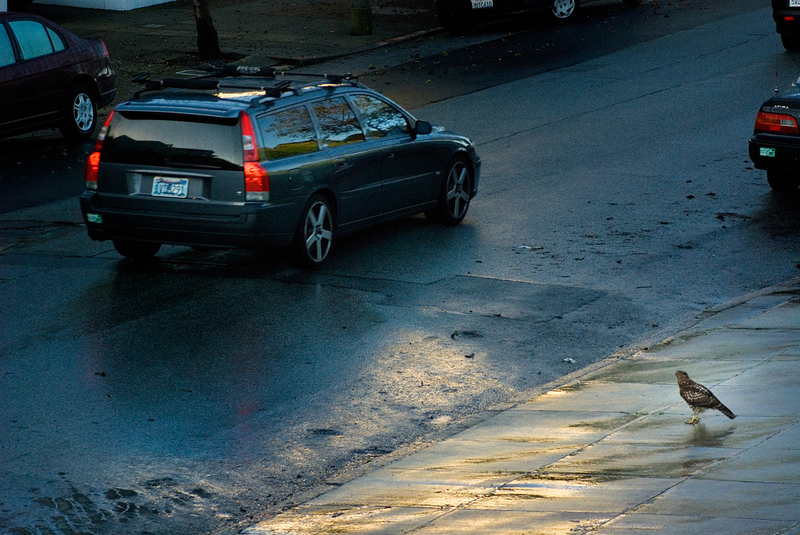 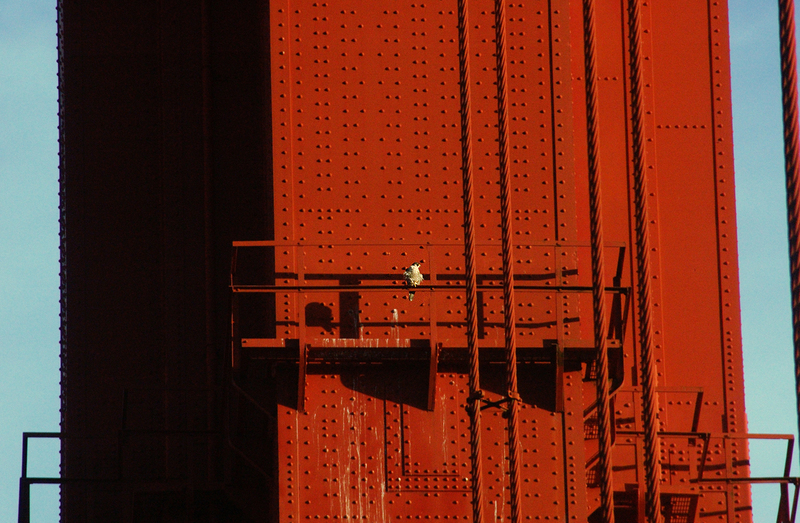 Close encounters can happen almost anywhere in San Francisco. 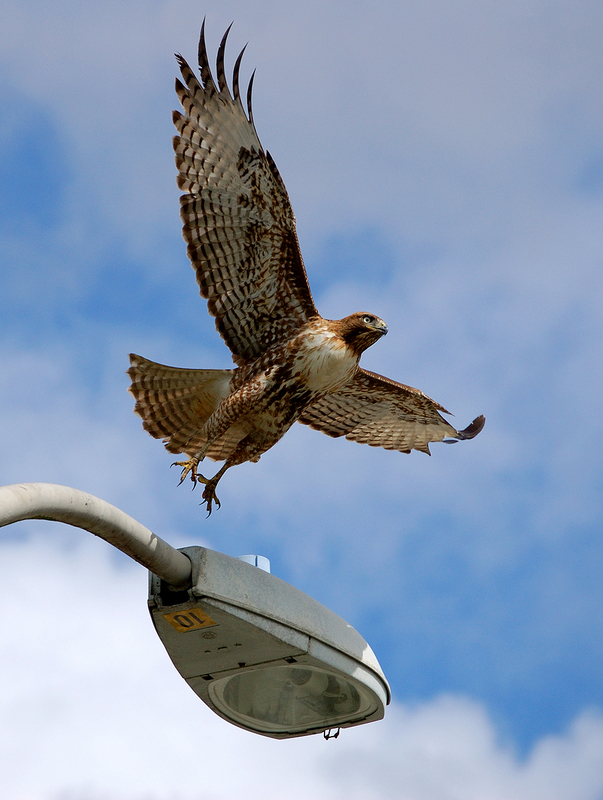 As a photographer I’m happy and amazed at how comfortable some birds get in an urban setting. 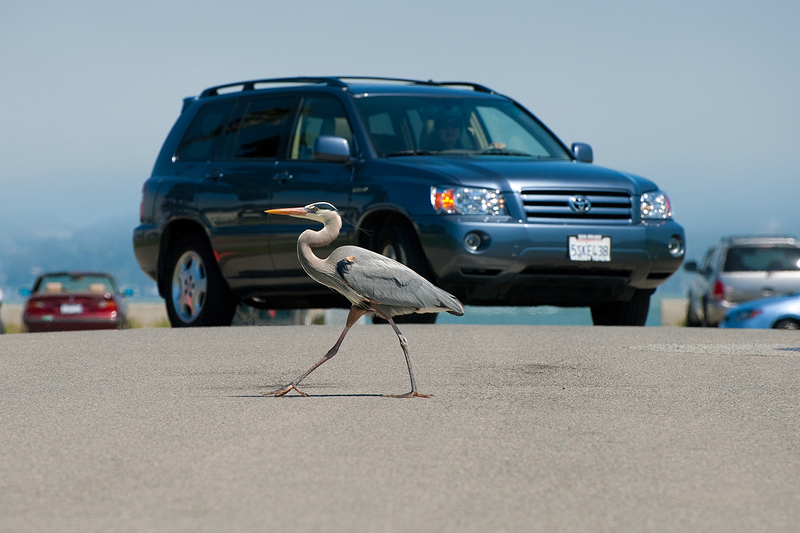 In the countryside it is a simple matter to relocate but the city offers limited green space and the birds learn to figure out what the real threats are. 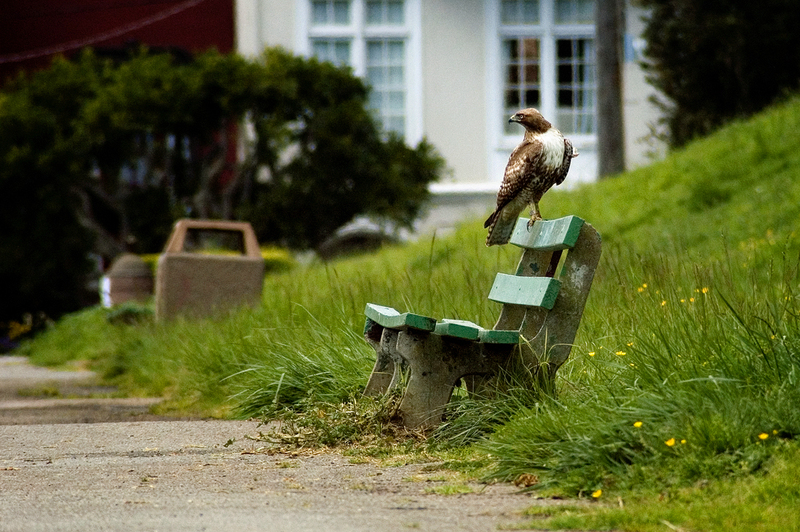 Alta Plaza Park used to be a great spot to see hunting hawks up close but I think things have changed. 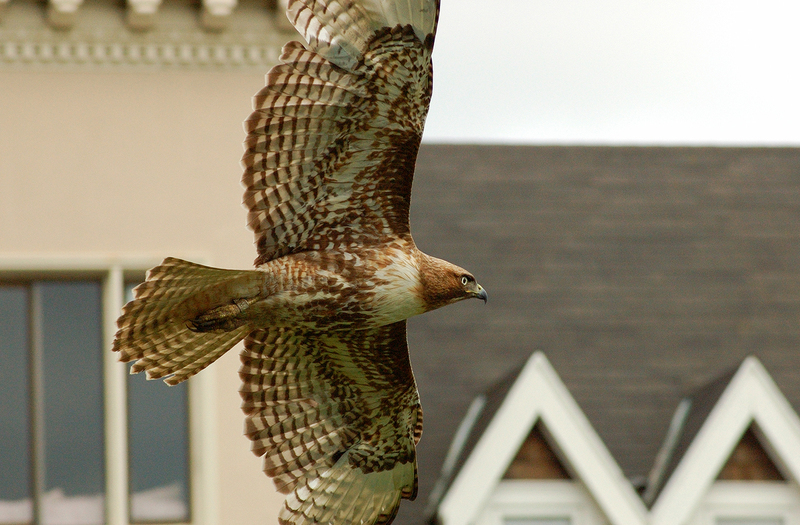 It used to have a resident Redtail every year but I haven’t seen one lately. 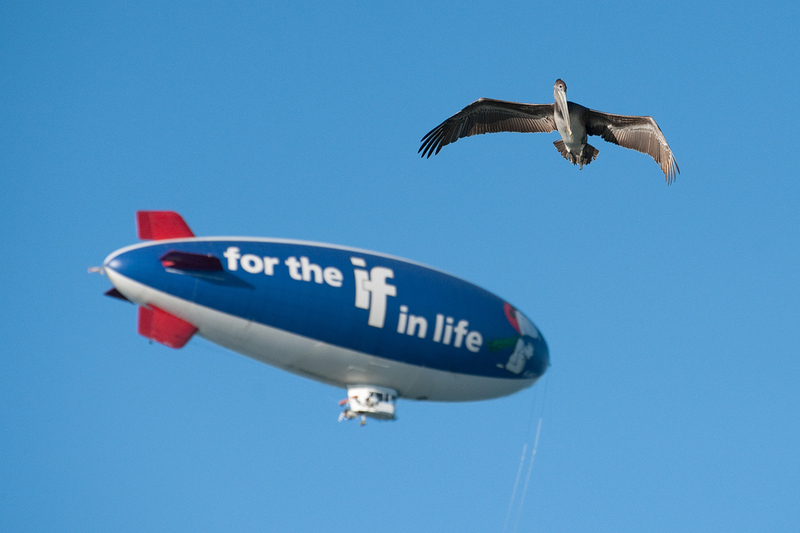 This image may be a repost but it fits with the theme and is one of my favorites. 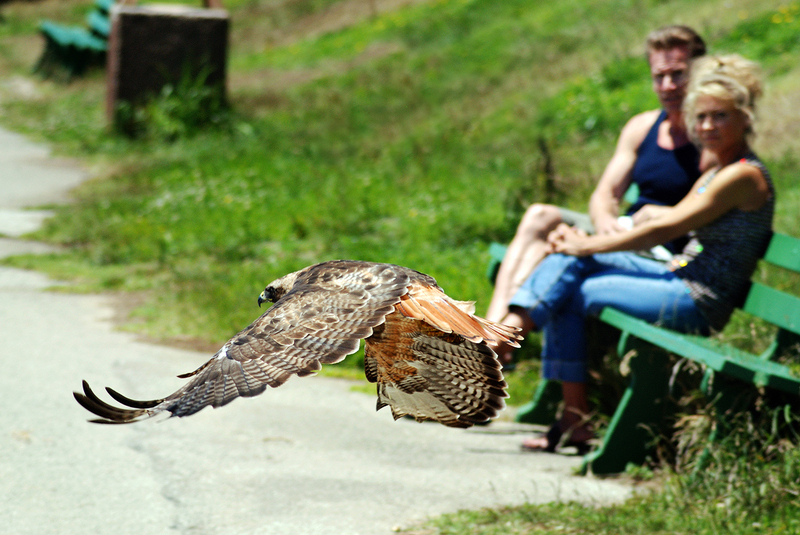 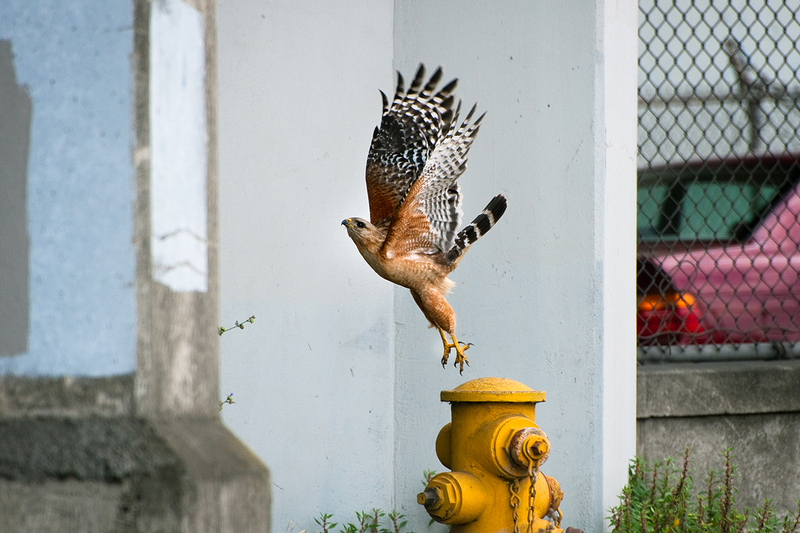 This is a Red-shouldered Hawk hunting rats in the Presidio. 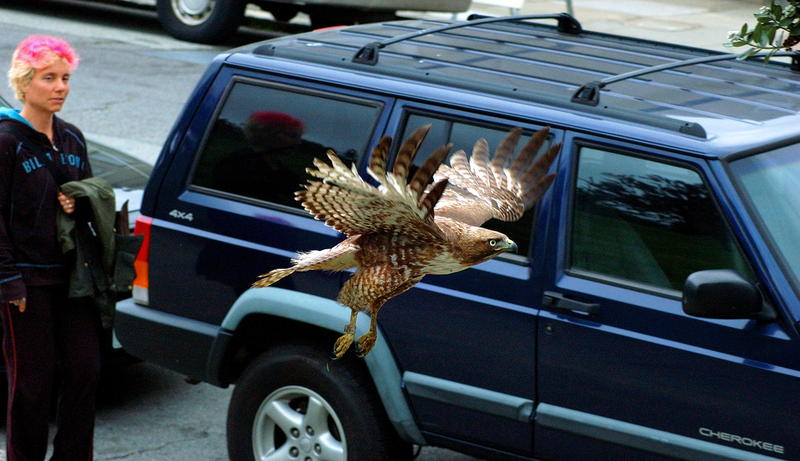 A Red-tailed Hawk with blatant disregard for signage. 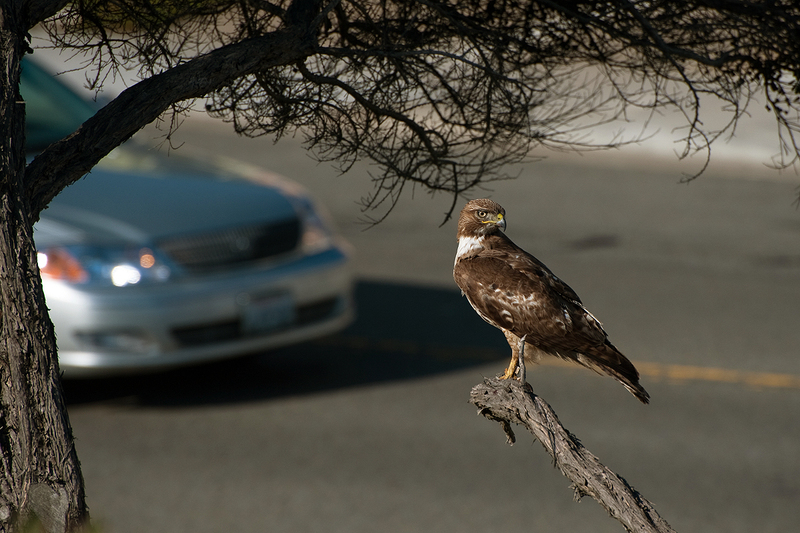 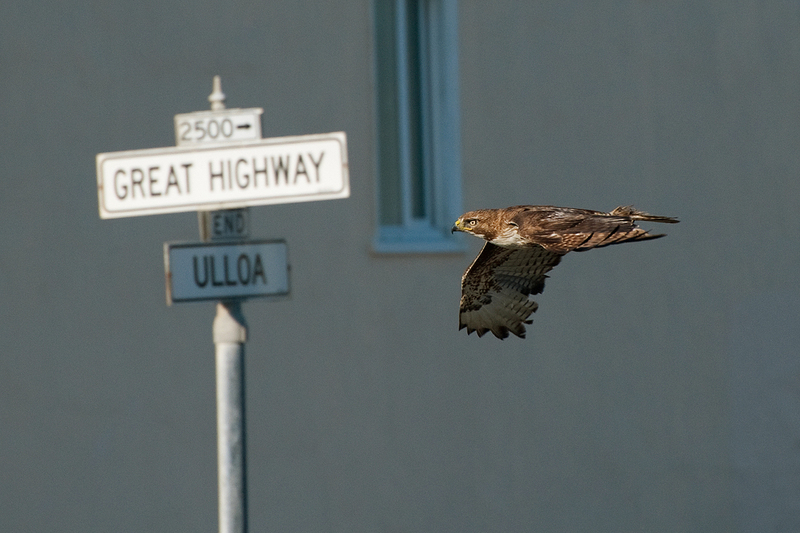 Another young Redtail cruising along the Great Highway near Ocean Beach, San Francisco. 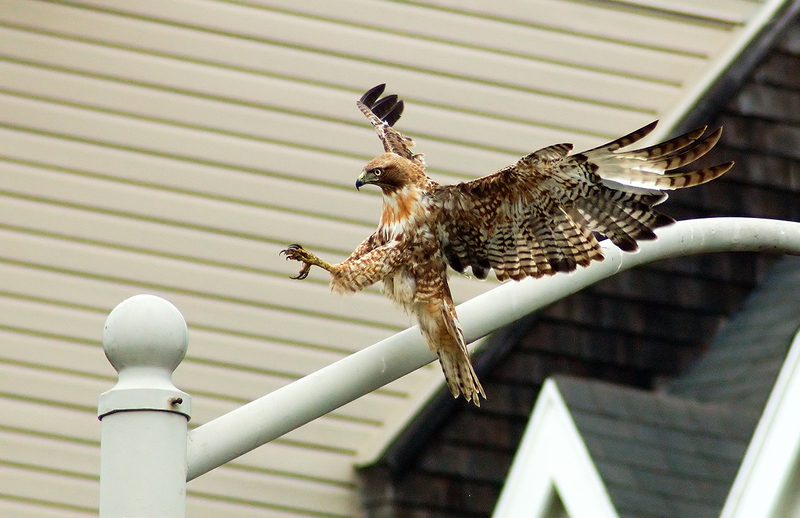 This Redtail supplements his diet with sidewalk worms after a rainstorm… but it takes a little searching. 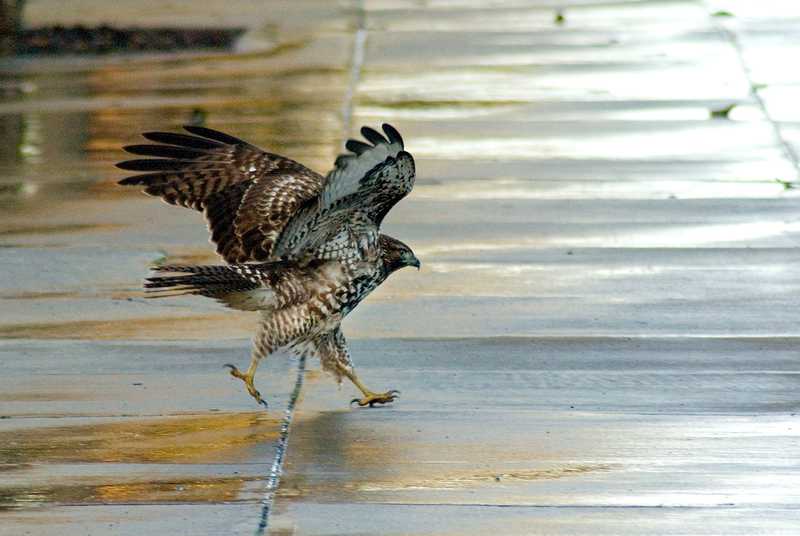 And sometimes you have to run to catch a worm before it makes it back to the grass. 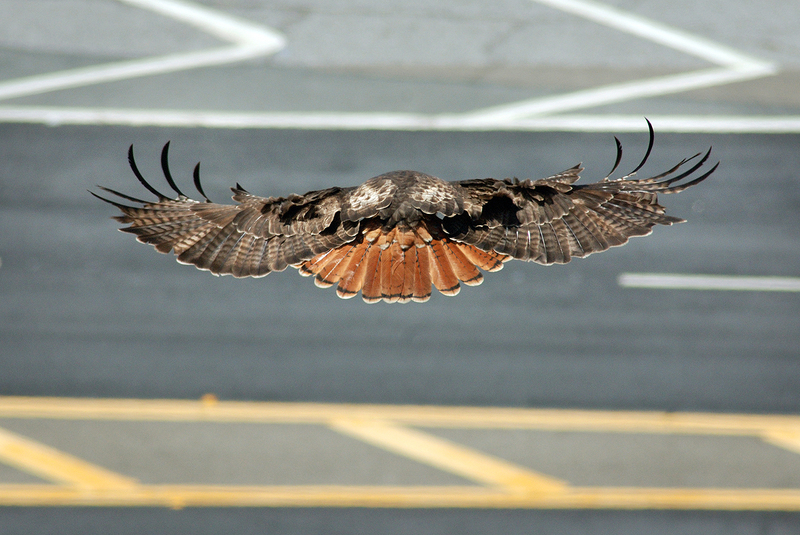 Floating over a roadway while scanning for careless gophers in the ditches. 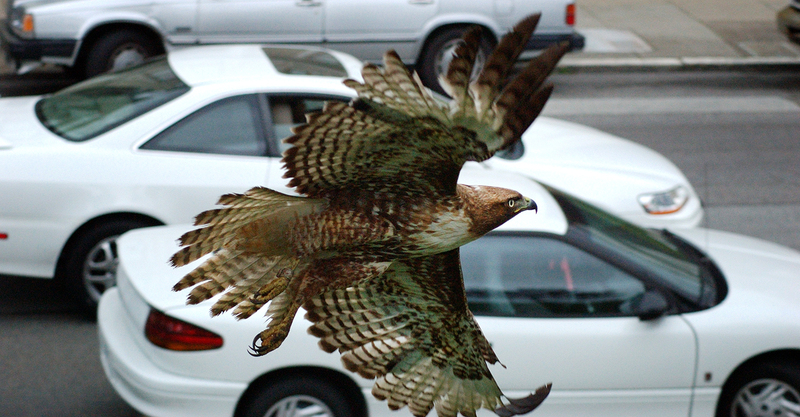 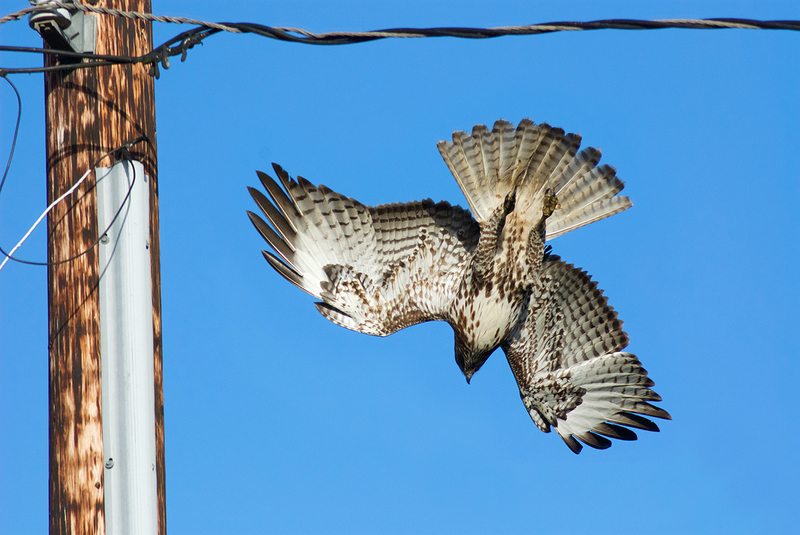 This Redtail navigates buildings in the Pacific Heights neighborhood as it hunts. 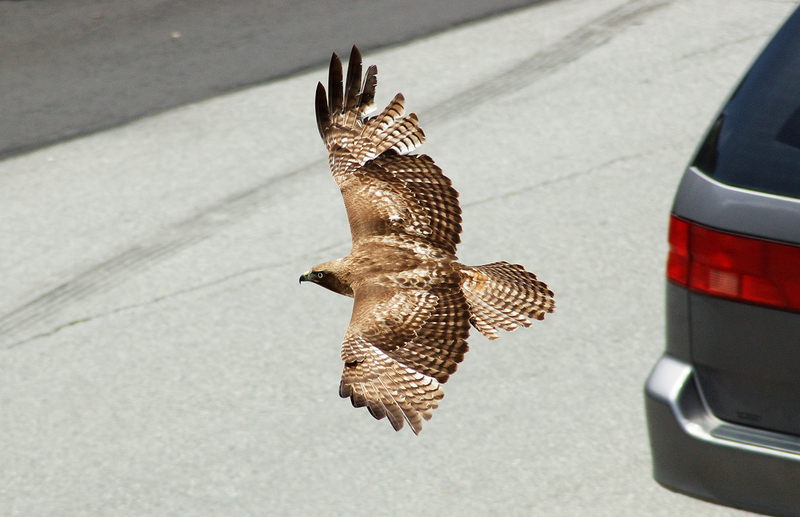 Traffic is another hazard of city living but this bird handles it with aplomb. 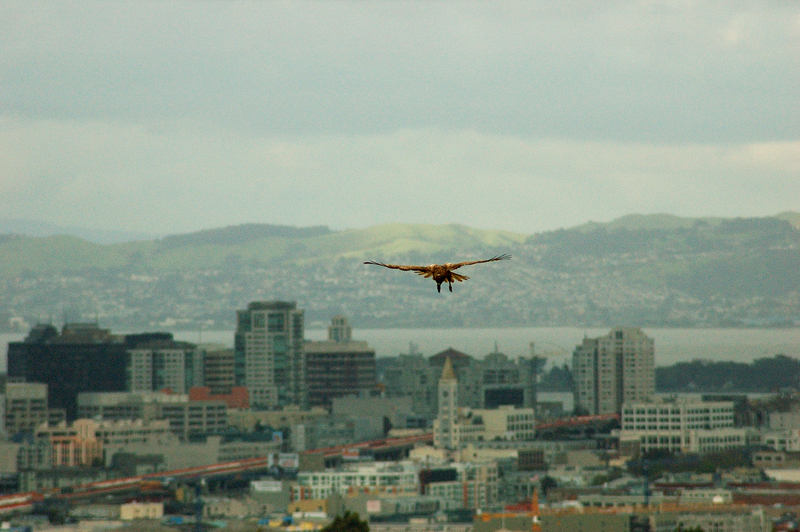 This hawk hunts the slopes of Bernal Hill with the skyline as a backdrop. 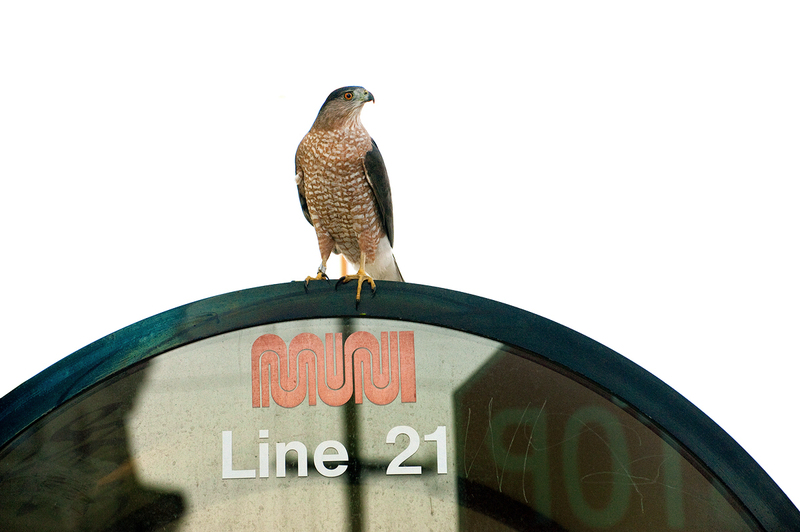 More urban birds tomorrow… stay tuned.